When you think of food poisoning, garlic may not come immediately to mind. But garlic can cause a serious type of food poisoning called botulism. The bacteria that cause botulism, called Clostridium botulinum, are found in many soils in the United States, particularly in the Western half of the U.S. The bacterium forms normally inactive spores that can begin to grow in certain conditions. Garlic, a low-acid vegetable, can, like other low-acid vegetables, contain Clostridium botulinum spores. Under certain conditions, the spores may become activated and grow, causing serious illness if consumed. For botulism to develop, you need proper growing conditions, including low-acidity, lack of oxygen, room temperature and moisture. Pressure cooking at high temperatures can kill the spores. A pH less than 4.6 can also kill the spores, according to the Colorado State University Extension. Garlic has an acidity between 5.6 and 6.3, which favors growth of spores under the right conditions. The bacterium also grows in anaerobic conditions, when there's no oxygen near the spores. This can happen in products where garlic is used in oils, particularly in homemade products. Temperatures in refrigerators may not be cold enough to inactivate the spores. Pressure cooking at high heat will kill the organism. Symptoms of botulism usually appear within 18 to 36 hours after you eat a contaminated food, but can take anywhere from six hours to 10 days. Symptoms of botulism caused by garlic include dizziness, double vision or blurred vision, and difficulty swallowing and speaking. Paralysis can occur that makes breathing impossible. Prompt diagnosis and treatment with antitoxins have decreased the death rate from botulism to around 10 percent, according to the Colorado State University Extension. Botulism has a high fatality rate within three to seven days without immediate treatment. Mechanical ventilation may be necessary for as long as respiratory paralysis lasts. Recovery may take several weeks to months. 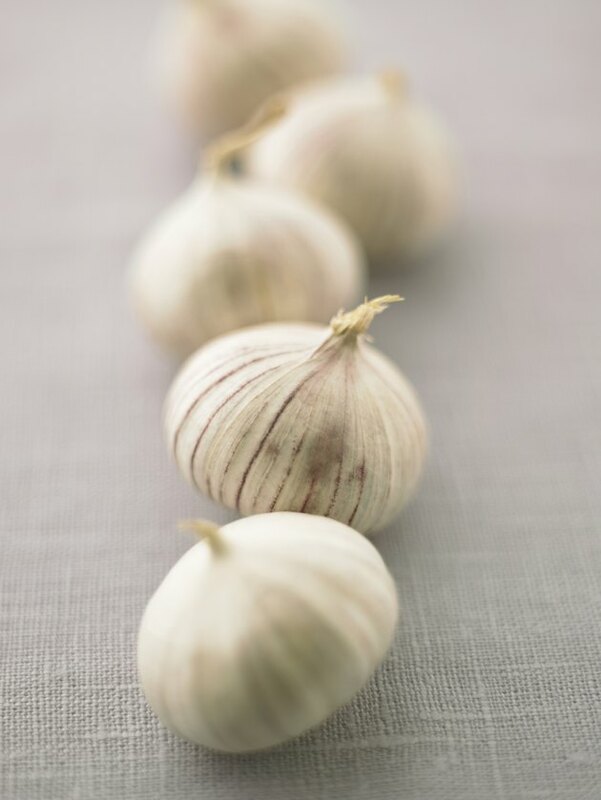 Never store garlic-in-oil at room temperature, since this provides the perfect conditions for growth of the bacteria. Commercial garlic-in-oil must undergo processing that increases acidity, but it's not possible to carry out this type of processing at home, Linda Harris, food safety and microbiology specialist at the University of California warns. Safe-to-eat commercially prepared garlic-in-oil products will contain salt or acid. Garlic-in-oil prepared at home and used immediately is also safe, according to Health Canada. How Much Garlic Equals an Antibiotic?